This section goes in depth into the research we've done for the charging section of AccuBattery. Most users won't need to read all of this, but if you're interesting in the how and why, here are our sources for more information. We try to use primary sources (directly referring research papers) as there are lots of conflicting claims on how batteries work and most articles don't cite their sources. Battery University has a lot of useful information in an easy to digest form, sponsored by Cadex, a battery analyzer manufacturer, but unfortunately, the pages don't cite all their data source. On an example page, How to prolong lithium based batteries, Figure 5 is from Choi 2002 which we also cite, the discharge cycles in Table 4 is also seen in Asakura 2003 but I'm not sure where the capacity at full charge is from, but Table 2 shows Depth of Discharge vs cycle life without specifying the start and end state of charge or voltage, and I'd like to see the source paper for the specific test conditions. Without it, people may be mislead that 20% DoD is independent of state of charge level, and that just isn't true as wear (or damage to the battery) above 3.92V doubles every 0.1V above it. All lithium ion batteries wear down over time and lose capacity. There has been tons of research in the past that try to explain the mechanisms behind it and experimentally quantify what factors influence the wear. How long a battery lasts is usually specified in charge cycles, where one cycle is a charge to a specific level (usually full) and full discharge to termination voltage (3.0 - 3.6V depending on experiment). If a battery lasts 300 cycles, you can recharge it 300 times before the capacity drops below the end of life level. Sadly, the life cycle rating and how it is measured is never specified for smart phone batteries, so while we don't know how long a specific battery lasts, we can use knowledge about how Li-ion batteries behave to try to prolong our battery's cycle life. Voltage has the most dramatic effect on the battery cycle life. Degradation seems to be controlled by two different physical reactions, one dominating up to 3.92V, and a different one at higher voltages. Choi 2002 tested how charging to different voltages affect cycle performance, and the data is dramatic: for every 0.10V increase, the life time of the battery is cut to about half, which Asakura 2003 also concluded with "about 0.1 V increase in charging voltage also cut the cell life in half." Figure from Choi 2002: Fig. 1. Effect of CV charge voltage on cycle performance. Test cells charged at constant current at 1C rate to cut-off voltage followed by CV float charging at this voltage for 2.5 h and then discharged to 2.75 V at 1C rate. This effect can be inverted to a certain degree, Asakura 2003 tested voltages down to 4.0V and found that every 0.1V decrease doubles expected life time. Charging at a high speed also seem to influence battery wear, but most research (like Choi 2001) is done at high rates starting at 1C (1x battery capacity in 1 hour). Figure from Choi 2002: Fig. 3. Effect of charge rate on cycle performance. Test cells charged at constant current at various rates to 4.2 V followed by CV float charging at 4.2 V for 2.5 h and then discharged to 2.75 V at 1C rate. Periods of CV float charging for 1, 1.2 and 1.4C rates are 100, 110 and 117 mm, respectively. Phone chargers are getting faster all the time, but as far as I can see, none of them are silly enough to charge a battery faster than from zero to 100% in 60 minutes, ie 3000 mA for a 3000 mAh battery, but once power delivery is unlimited, manufacturers will have to be careful not to force a charge at more than 1C or batteries will die sooner on quick charge. Charging is done in two parts - a current limited fast charge segment (constant current or CC in jargon), until the maximum voltage is reached. The second part holds the voltage constant (constant voltage or CV), and the speed is determined by how fast current flows into the battery, limited by the battery's chemical process. Choi 2002 shows that the constant voltage part is the most harmful to a battery, charging to 4.2V itself using constant current at 1C doesn't degrade it too badly, but by holding the battery at that voltage for an additional time causes most of the damage to the cell. Fig. 2. Effect of CV charge period at 4.2 V on cycle performance. Test cells charged at constant current at 1C rate to 4.2 V followed by the CV float charging at this voltage for various periods and then discharged to 2.75 V at 1C rate. We don't model this in AccuBattery, but for most devices, you can see the current drop around 80% state of charge, if you unplug the charger before that level, you'll avoid the constant voltage part of the charge. The same can be done by monitoring voltage and unplugging before voltage reaches the maximum, that will terminate the charge session before the constant voltage section. 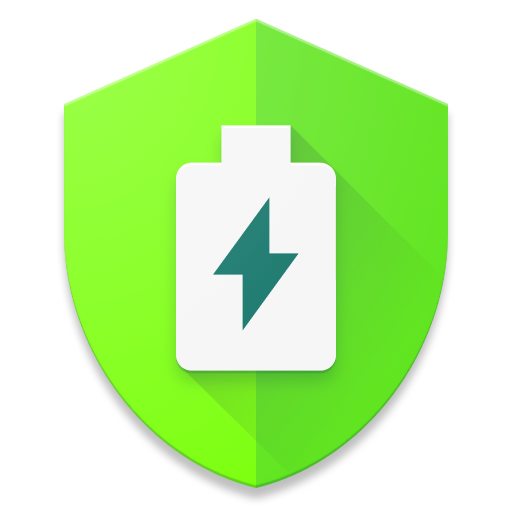 This is one of the main features of AccuBattery, offering users an easy to use way to visualize the amount of damage charging does, and allowing them to set a lower limit to extend the usable lifetime of a battery, which is especially important for non user replaceable batteries. We've gathered millions of data points on multiple devices to model the battery wear. As every battery has their own discharge voltage profile, we've verified that we can use the discharge curve to map percentages to an "idealized voltage" which then is used to feed the charging from x to y causes z cycles of battery wear algorithm. The absolute voltages can differ between devices, but the general shape of the discharge voltage curve is bound to how Lithium-ion batteries behave as a class and are comparable between devices. This isn't perfect though - although it's probably correct that charging to 92 / 82% will double / quadruple your battery life, it doesn't take into account the fact that different manufacturers set their charge end point differently. The end of charge voltage fluctuates wildly between manufacturers, from 4.25V on a Moto G (gen 1) to 4.4V on a LG G4. According to the charge history and health analysis in AccuBattery, the Moto G still has 97% of its initial capacity left (which is amazing), while the LG G4's battery is now only at 76% after a year (based on data from 129 charges, total 132270 mAh charged at +5083%, with an estimated capacity of 2279 mAh out of 3000 mAh new). Sony devices also top the endurance race, and Samsung is in the middle of the pack (4.35V end of charge). A higher voltage gives you more capacity (mAh) at the start, but as seen on Choi 2002 figure 1, it degrades your battery rather rapidly with usage, so users with a device with a higher than usual voltage should probably try to charge to a lower level and use the voltage display in the app to determine to which level you should charge. Charging is controlled via your device's battery charge controller, which is a chip that carefully controls the voltage and current to charge your battery as fast as possible within the safety limits. Apps cannot influence this process. Charging is limited either on the power supply side (USB port on a PC isn't fast enough) or limited by the charge controller. If not limited by supply, the first part up to about 80% is current limited - a limit of 800-1800 mA is set by the manufacturer as the maximum, and the charge controller will keep it below the limit. After the voltage rises to the charge target voltage at 4.2 to 4.4V, the speed will gradually drop to the termination point around 100 mA, if the current is lower than that, the battery is considered full. Charging usually hits the fastest speed on a quick charger when the screen is off and the device is idle (not updating apps in the background, etc), but while the screen is on and in use, the charge speed drops to less than half most of the time. If you're in a real hurry, put the device on air plane mode and keep the screen off. Tip: apps that claim to boost charge speed simply don't work, and the ones that keep the screen on makes charging far slower. You can verify the screen on and off charge speed via the charging tab in AccuBattery. The best way to test your charger and cables is to check the charge speed while the screen is off. With the screen on, your phone is always busy and the charge speed (current in mA) readings are very jumpy. Connect the charger, turn the screen off for a few minutes and check the speed while screen off block for the result. Takeno, K., & Shirota, R. (2006). Capacity Deterioration Characteristics of Li-ion Batteries for Mobile Terminals. NTT DoCoMo Technical Journal, 7(4), 66-70. References using APA style, styles without article titles are just plain incompatible with Google / Google Scholar. Try finding "B.V. Ratnakumar, M.C. Smart, J.O. Blosiu, S. Surampudi, Lithium Batteries, in: S. Surampudi (Ed. ), Proceedings of the Electrochemical Soceity [sic.] Inc., Vol. 99-25, Pennington, NJ, USA, 1999, pp. 706– 718." and you'll see.